Discovering culture and cuisine while exposing the injustices of travel! Marco Polo and his Airport? April 27, 2015: The Venice International Airport is named after this legendary early world explorer who lived in Venice—I guess because navigating the airport is like being on an extremely long never ending trade mission to the Far East. The entire airport is under construction, with most of the misplaced directional signage in Italian and confusing. The real confusion continues when you exit the airport through various construction mazes to find your way into Venice—well you don’t really go into Venice as no motor vehicles are allowed—you get yourself to the Plaza Roma transportation hub where you either walk or take a variety of water taxis into your final destination. If you arrive in Venice by train from elsewhere this is where the line ends—don’t make the mistake as many travelers do and get off at the first Venice stop. 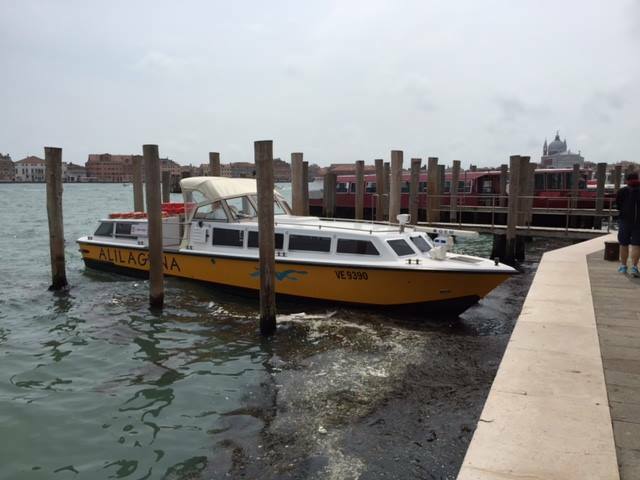 The other option is to find the low speed water taxi that serves the airport and travel by water into Venice—only do this if you have considerable time to waste! This trip is ok if you want to see the entire area that surrounds Venice and stop at the numerous small islands around Venice as well as numerous stops around Venice itself. On a good day Venice is hard to navigate—yes getting lost is part of the experience but it does get frustrating after a time. The water taxis in and around Venice itself are fine for transportation, but be sure to buy your ticket ahead of time if you can find a nearby newsstand or dedicated ticket kiosk, then validate your ticket as you enter the water taxi. Again know where you want to go or check the taxi route maps, and if it’s after dark the schedules become very infrequent. Aahh Venice—where time does not count!!! In Italy, it always “pays” to be honest while driving! April 25, 2015: Prepare yourself for a grand cluster of the TC’s favorite term “something akin to a goat rope.” ( more on the TC’s “don’t leave home without it travel terms and definitions” later). Mass confusion and mayhem– signage is ok if you can read Italian. The locals pay no attention to lines and queues- ticket and gate agents are indifferent and haven’t learned eye contact– well unless you’re male and scoping up an attractive female. These carriers mostly operate out of smaller secondary airports or smaller terminals at larger airports. 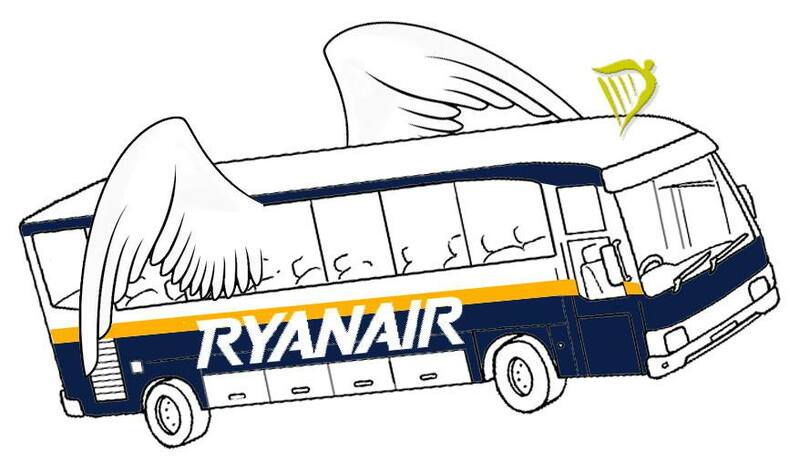 Budget air in Europe is a city bus with wings!!! April 24, 2015: This large island off the southwest part of Italy is a travel gem– for hospitality to history and over all variety of sights. When’s the last time you’ve ever walked in a crater on Europe’s only active volcano? (you can still feel the heat coming from the ground). So much to see and do and eat, with a variety of colorful fresh fruits and vegetables as well as a collection of sea food caught fresh everyday. And the vino– little know of the island but some of the best in the world. Anything grown on the slopes of the volcano (Mt Etna) is even better thanks to the minerals from hundreds of years of volcanic ash and rock. When dining, order the local house wine– usually under $5 for a large carafe. Eating in Sicily is an art and the Italians here some of the best food artists in the world. Not a lot of English spoken here, but who cares!!! Room with a view- and for cheap In Venice, Italy? 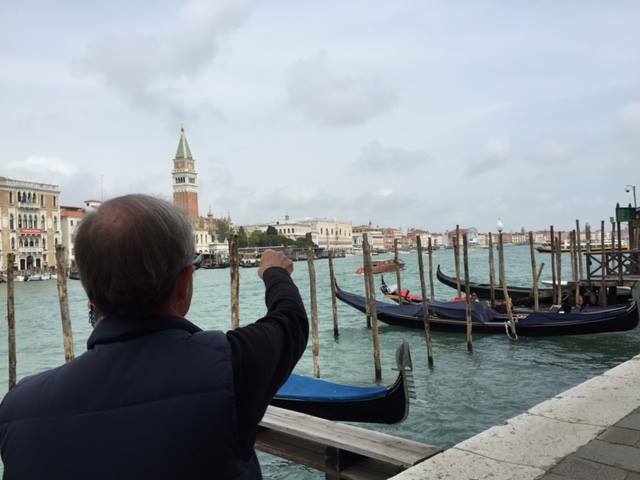 April 23, 2015: No, that’s not an oxymoron- Anyone who’s traveled to Venice knows how expensive rooms are- and the Travel Curmudgeon doesn’t stay in hostels anymore. If you only have a few days and want to save hundreds of dollars on lodging than stay in one of numerous hotels by Marco Polo International Aeroporto- numerous choices and less than $5.00 US for a short public bus ride (round trip) to Plaza Roma, the transportation hub for getting into Venice. And the ride affords the opportunity to see some of the picturesque surrounding countryside and mingle with locals. 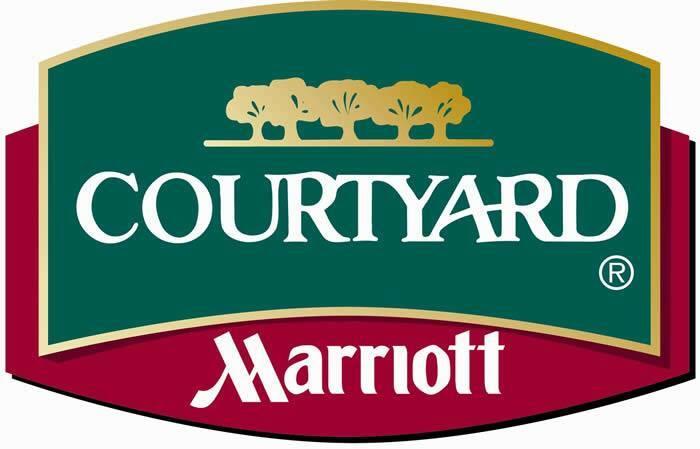 The Curmudgeon’s recommendation is the Courtyard by Marriott Hotels– huge rooms that include a real shower large enough to accommodate all your in-laws at one time, plenty of desk space, lights, power outlets, and windows that open. Add in free internet that actually works throughout the property, a fitness room, good restaurant and lounge and friendly helpful staff — and they speak English which is hard to find in Venice! 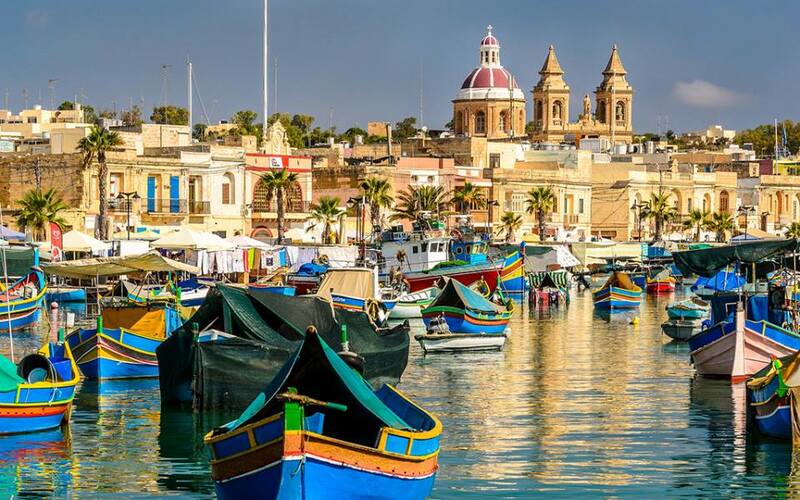 April 22, 2015: If you’re looking for a great out of the way destination that’s safe, reasonably priced, with great food, and 2,000+ years of well preserved history, then hop over to Malta. Yes, it’s a small island country, about two hours by high speed ferry from the southern most tip of Sicily– yes that’s an island too that Italy claims– and served by many air carriers including the local Air Malta. You can take the island “Fun Bus” and experience the entire island in about 8 hours depending on how many on and off stops you take– don’t miss the fishing village and the Blue Grotto! 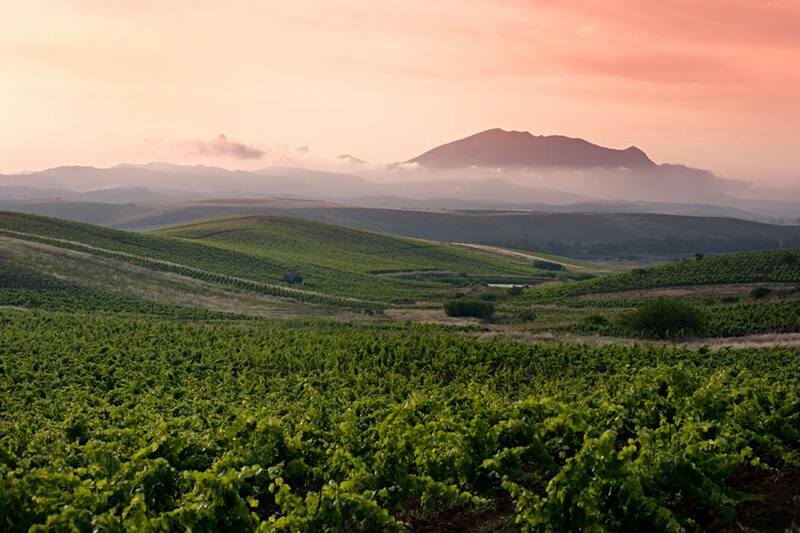 Keep away from the local wines– way too sweet for the TC and looks for vino from Italy, especially Sicily, or France. Very little English spoken– the TC just points or adds an “O” to the words and all seems to work out. Tips are appreciated but not necessary!!!! 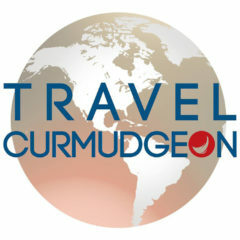 April 21, 2015: The summer travel gates have opened with all kinds of “deals and steals” for consumers, but the Travel Curmudgeon urges all to beware– if the deal seems too good, check the fine print and call to ask questions. In some cases the fine print service charges and add-on taxes will will double or triple the advertised deal price. Best value prices for US travel to Europe and beyond this year will come from the international carriers not the US flag airlines. US carriers, because of the strong dollar against US currency, are actually cutting back service to Europe to maintain higher fares. The TC’s best value for travel this season to Europe and beyond is Turkish Airlines– service is efficient and all flights go through Istanbul– and for a few extra dollars take a day or two enjoying the history, shopping and sights.